Last Christmas, Dave’s parents gave us a quarter of a cow as our Christmas gift — everything from boatloads of fresh ground beef to delicious roasts and steaks. We got the meat in March, and 7 months later, we still have a nice supply of beef in our freezer! 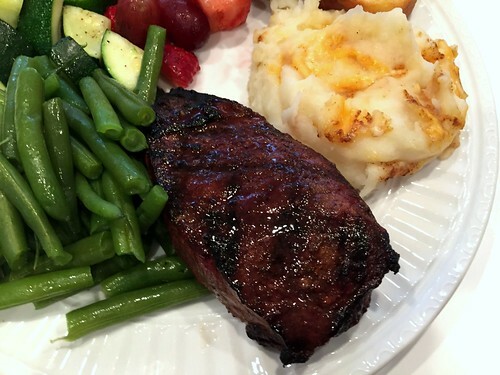 Prior to our humongous meat delivery, Dave and I didn’t eat steak all that often — partially because it’s more expensive than other meats, but also because we didn’t have a great recipe for seasoning it. 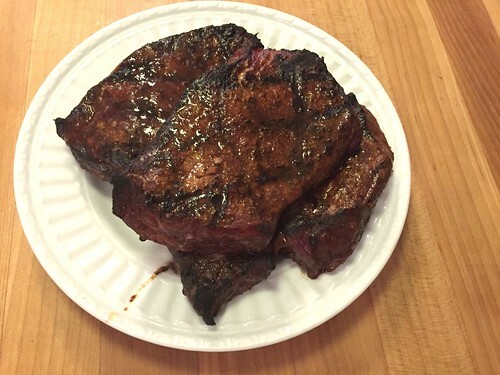 However, after I neatly stacked a pile of delicious steaks in our deep freezer last spring, I decided I needed to find a really great dry steak rub that I could make ahead and have on hand whenever we wanted to grill up a few steaks. 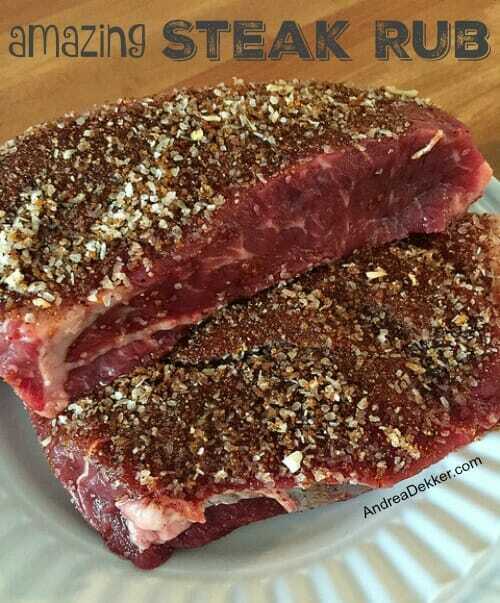 After the very first time I used this “amazing steak rub” on our steaks, I knew this would be my go-to rub for steaks and other meats! 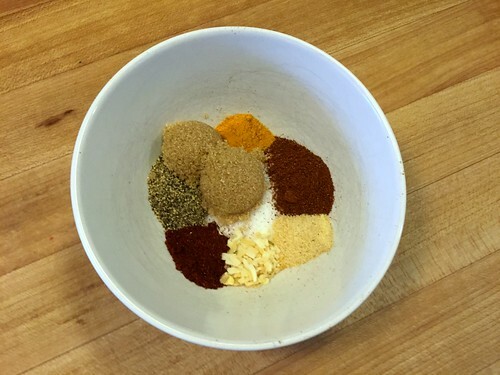 The flavors in this spice rub are fabulous — strong enough, but not TOO strong that they take away from the taste of the meat itself. This recipe is easily doubled or tripled if you want to make a lot at one time… and I’m certain it will still taste great even if you need to omit or swap out a few ingredients. 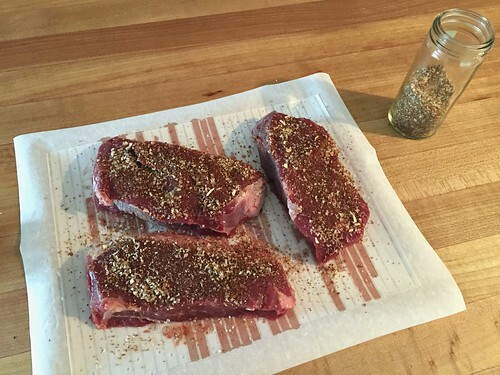 I often make a double batch of this steak rub, and store it in my spice cabinet to use on steaks (or other meats). 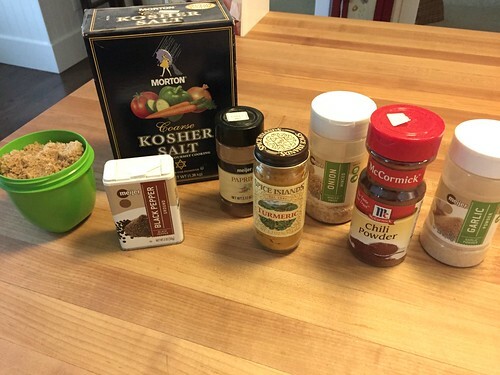 I have a couple other meat marinade recipes (see below) we really like… but I love that it’s a DRY rub so I can store it easily — or even take it with us if we’re going to a BBQ at another house. Plus, it only requires 30-40 minutes on the meat to make a huge flavor impact, so it’s great if you’re short on time. 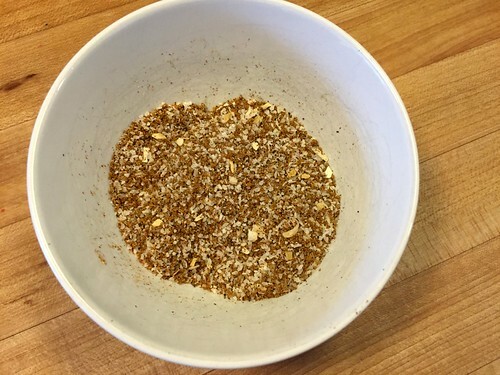 If you’re looking for a good dry rub that uses relatively “normal” spices and can be stored for several months, this rub is for you! 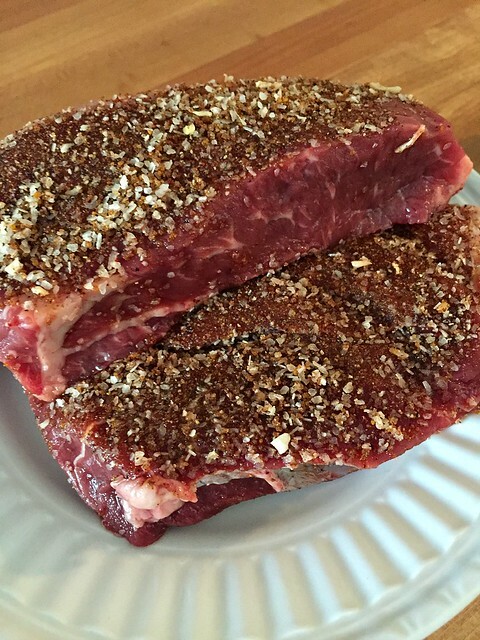 Do you have any favorite meat rub recipes? Sad! It looks like those Saran cutting sheets are an old item no longer made. The price of the 2 available through Amazon is ridiculous! If you find a source selling them at a normal price point, please please let us know. I am very curious to purchase these, I have never heard or seen them before. It’s possible they came into market while I was still living at home before my husband and I moved in together, long before I started cooking in my own kitchen. They are a great idea though, I am so surprised someone does not have these available readily now days. Sorry, I accidentally posted this under another one of your blogs on marinades that I had accessed. It probably wouldn’t be seen there, at least for a while, so I am reposting under today’s blog. It’s too good to miss! Ok, I’m more interested in your quarter cow! 😉 Where did you (or your in-laws) source it? Was it grass fed, etc.? How much space does it take in the freezer, and how to you keep track of the quantities & cuts of meat for later use? I’ve been considering doing this so I’d love more details! Just contact a butcher in your area (Google it if you’re not sure) and they will tell you everything you need to know — where to find meat in your area based on what you’re looking for. They will also divide everything up for you, label it, and let you know when it’s ready to be picked up. It’s a pretty slick process. 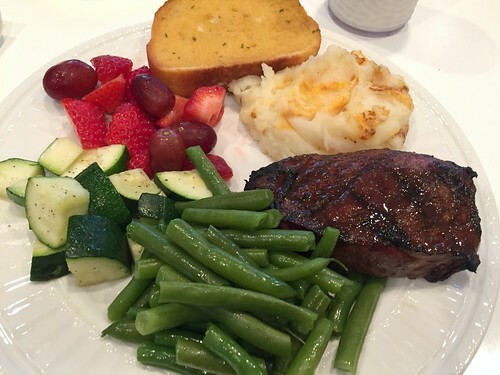 Our meat is not grass fed and I have no system for keeping track of what meat we have. I just look in the freezer and pull out what I want 🙂 Oh, and it takes up A LOT of room. We would never be able to fit more than a 1/4 of a cow in our deep freezer. 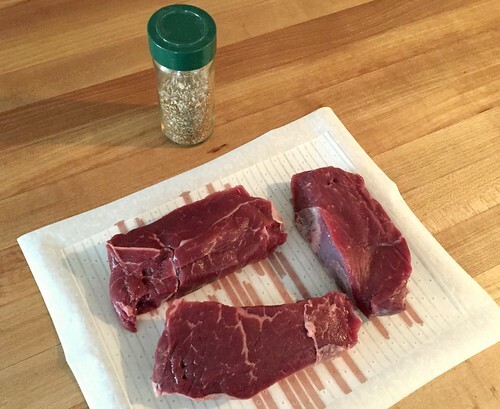 We love the Montreal Steak Seasoning from Sam’s Club, but I’d love to mix it up and try this! Now I need steak! Mmmm! This is perfect timing – I bought a bunch of steaks on sale this week and need to grill them up! Thanks Andrea!